Flextech Hose Solutions Ltd specialises in the design, manufacture and supply of hose assembly solutions to support craft breweries and multinationals alike. The key applications Brewflex® is suitable for are; Beer, wine, cider, soft drinks, fruit juices and water. However, due to its versatility we are able to support hundreds of companies spanning across many industries with our Brewflex® hoses. Hygienic, high quality and non-tainting, Brewflex® is the UK’s leading brewery hose. It first entered the market in 2010 and is now supplied to over 400 breweries in the UK alone (out of a total 1700). In more recent years Brewflex® has also gained a prominent position in the international brewery market through being distributed throughout the EMEA region. We have also sold Brewflex® to places as far west as the USA and as far east as South Korea. In 2017 we updated the design for Brewflex®. By further improving its flexibility, durability and general quality properties we’ve been able to ensure the hose’ integrity is maintained over a longer period of time. Below you’ll find some important information about Brewflex® – construction, applications, temperature range and pressure range – to help you make informed choices. 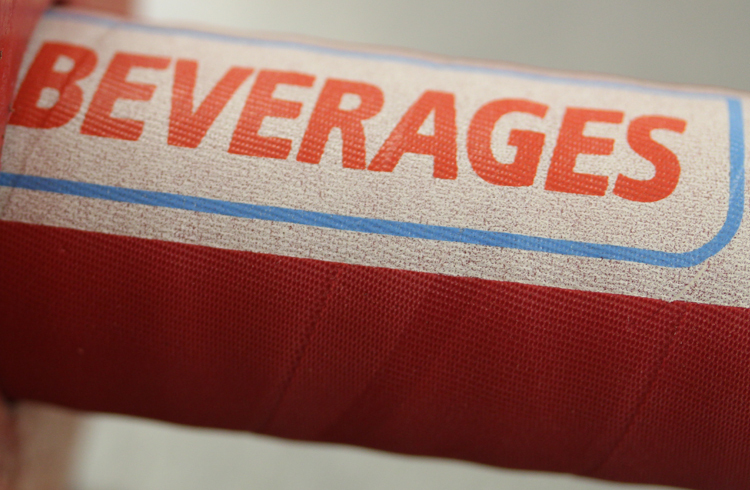 There are slight variations with these details depending on the Brewflex® model used. The below is meant as a guide. Construction – Odorless, taste-free, hygienic butyl liner, synthetic plies and/or a steel wire spiral reinforcement, anti-friction EPDM cover. Typically, rubber hose assemblies sold into the brewery market will consist of four to five major components; The inner Liner (tube), the Reinforcement, the Cover and the End Connections, however they are by no means limited to these. The components used in a rubber hose assembly are entirely dependent upon the requirements of the application and are decided on based on performance and suitability to ensure a fit for purpose solution is supplied. The liner is the inner-most part of the hose and comes into direct contact with whatever media is being conveyed. It’s role is also to not only transport the media from point A to point B but also to protect the reinforcement and the cover from the media that is being conveyed. Throughout the hose industry companies will sell competing variations of brewery hose, many of which have different hose liners. PVC – Whilst PVC is not used as a liner for rubber hoses it’s an important material to cover considering its wide use as a hose in beer production. We would never recommend PVC to convey beer due to the majority of PVC hose being cheap imports from outside Europe, manufactured in dirty environments and of low purity, usually resulting in it being toxic. PVC leaches into the media conveyed through it too so it’s possible the plastic taste/smell is then imparted into said product. PVC is also a petroleum derivative – fine for chemicals, fuels and non-drinkable water. NBR – Is best for conveying dairy produce and fatty foods. It does not last long when alcohol is conveyed through it. We do not advise using Dairy hoses for beer or alcohol applications – it’s made for fatty foods, however many brewers are sold NBR dairy hoses as suitable for brewing with. The most common hoses we come across in the UK brewery market are NBR and EPDM. EPDM – A versatile material with good chemical resistance. Performs okay with alcohols but will not last longer than 3 years before liner degradation begins to occur. For many years EPDM held the top spot for materials suitable for conveying beer or similar media, however that changed when Butyl was introduced as a higher-performance, longer lasting and superior alternative. Butyl – A very high-performance synthetic rubber, odourless and taint-free, performs extremely well in conveying alcohols, even up to 96% purity. Not good with dairy products or fatty foods. Brewery hose assemblies with butyl liners can last up to seven years provided they are maintained accordingly. The inner liner of our Brewflex® hoses however are manufactured from a much higher grade of rubber – Butyl. As a material butyl has superior mechanical properties to that of both EPDM and NBR, briefly explained below. The reinforcement is the part of the hose which provides the strength to resist things such as vacuum and also flexibility to avoid kinging. A reinforcement inside a rubber brewery hose typically consists of either numerous layers of high strength synthetic plies and/or an internal wire spiral made from either steel or nylon. However, a reinforcement can also be classed as any additional component that provides support to the hose’ construction. Synthetic fibres increase the overall durability of the hose while steel wires provide vacuum and kink resistance and nylon wire helixes enable crush resistance. The cover on a rubber beer hose assembly is designed to protect the reinforcement and /or the liner from the external environment. EPDM is the standard choice of material for covers used on rubber brewery hose assemblies as it acts has good resistance to abrasion, weathering and chemicals. The cover is essential to enable the product to work at pressure, stop elongational growth and improve bend radius and it acts as a protective cover giving mechanical strength to the whole hose assembly. The end connections used also play a key role in the construction of a hose assembly as they are what connect the hose to the application. Flextech offer a wide range of 316L stainless steel couplings and fittings to suit the performance and hygiene requirements of brewery applications. It is worth noting that there are two methods of attaching a fitting to a hose to form a complete assembly; worm drive clips and hygienic swaging. Worm drives – fastened around the hose with the fitting in place. We do not advise this method as it leaves points of vulnerability in the hose where bacterial growth can occur. Over time as the hose is used the fitting can dislodge and even blow out requiring constant monitoring and tightening. Metal clips snag operator fingers – there is both a hygiene and health and safety risk here. Hygienic swaging – A 316L stainless steel ferrule is crimped over the hose cover with a 316L fitting inside the hose. The two are secured together by the crimp and locking lip. Allows for smooth flow of product through hose, eliminates chance of bacterial growth between hose and fitting, simpler to handle, no snagging parts. 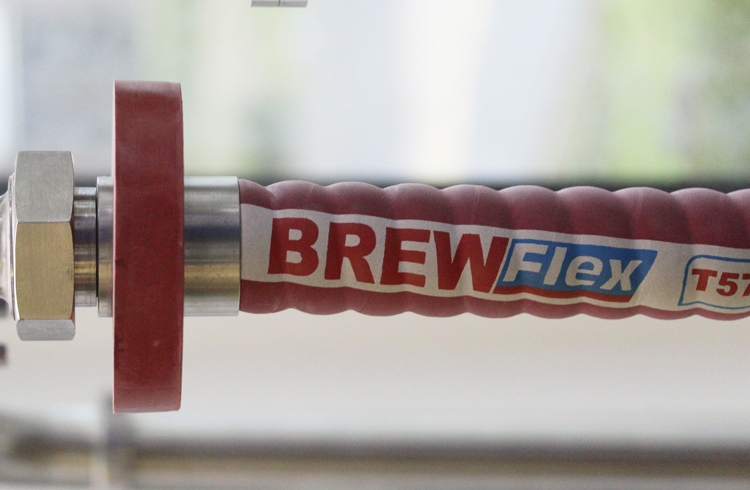 When we designed Brewflex® we started from the liner and built the hose outward from there. The reason we did this is due to the fact that the liner is what comes into contact with the media to be conveyed, in this instance – beer and other alcohols. We believe that it’s therefore important to understand why we designed and constructed Brewflex® the way we did. The liner becomes gummy – like chewing gum, the hose liner becomes not only sticky but also porous. This is a problem because it means the conveyed media leaches into the wall of the hose, and as the liner breaks down, it too leaches into said media. What this can result in is products such as beer taking on the smell and taint of the liner (this is common with low grade/quality imported rubber hose and especially with PVC), or even worse, pieces of the rubber liner which have broken away end up being bottled potentially resulting in a ruined batch of beer. It doesn’t take a genius to work out that this doesn’t support any supposed quality assurance programme in place, it definitely doesn’t ensure a high standard of hygiene is maintained and it doesn’t make commercial sense to avoid initial marginally higher costs that pre-empt premature hose failure from low-quality hoses to lose an entire batch and resulting in production downtime. Bacterial growth – A good quality hose liner should have a smooth, white, mirror finish to it with no bumps or lumps that could potentially be signs of vulnerabilities in the hose. With that being said, when a hose liner begins to degrade it does become lumpy, and these lumps disrupt the flow of media through the hose bore. What happens is over time bacteria and fungus such as mould begin to grow in the crevices leaving yellow and green blemishes throughout the length of the hose. Beer is a robust product, but do you really want to be putting mould in your finished product? Due to the material properties of butyl it lasts much longer than its opponents meaning bacterial growth is less likely to happen nor as quickly. Beer stones – This occurs when the components in the beer product conveyed through the hose calcifies over time and then begins to line the bore of the hose. It is hard to remove and easier to prevent than treat – usually through adhering to a strict CIP regime. However, different rubber liners react very differently to caustic cleaning blends. 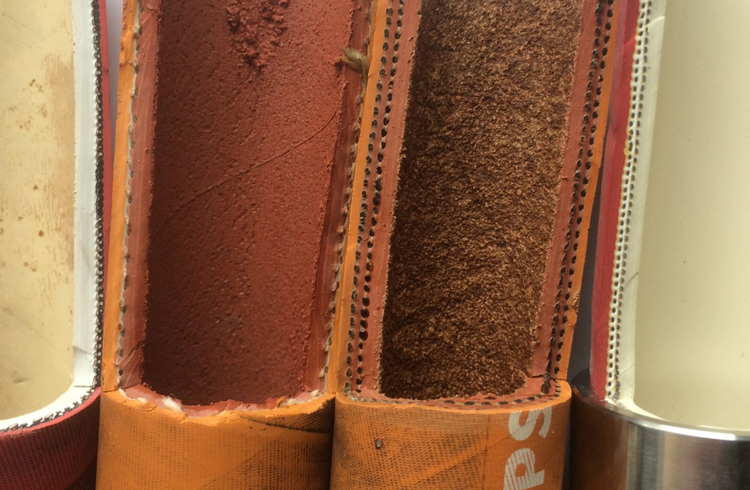 This is another reason we choose to line our Brewflex® hoses with butyl as it has good resistance to low levels of chemical dilutions commonly used in CIP regimes helping to increase the time it may take for something such as beer stones to form. Compared to other rubber materials such as EPDM and NBR, Butyl outperforms in every area when it comes to being used as a hose solution for brewing applications and CIP. That’s why we use it as the liner in our hose, it’s better quality, has a high resistance to alcohol, it lasts longer, is more durable and robust, can withstand many more CUP cycles, it’s also odourless and taste-free. It’s also multipurpose and can be used to convey beer, wine, cider, perry, fruit juice, soft drinks, spirits and potable water. High tensile synthetic plies are a textile reinforcement that act as a reinforcing layer or layers between the liner and the cover of a rubber hose. As well as enabling the hose to work at higher working pressures and improving flexibility, textile fibre layers help to prevent unnecessary elongational growth. Steel wire spirals are used to prevent hoses from collapsing under vacuum, but they also increase flexibility and reduce kinking, therefore, flow rates and other performance related aspects of the hose are not negatively impacted. Flextech are able to offer helically wound nylon spiral reinforcements on their range of crush-proof brewery hose assemblies which enable the hoses to ‘bounce-back’ to their original shape if crushed as well as offering greater flexibility, a resistance to kinking as well as increased vacuum resistance. Our range of brewery hoses are encased within an EPDM covering to ensure maximum resistance against, ozone, weathering and abrasion. All of our Brewflex hoses are covered with a low friction coating which drastically reduces the coefficient of friction of these rubber hoses. Typically, rubber materials have a high coefficient of friction or frictional grip, which makes their “slideability” as hoses on things such as floors an arduous and inconvenient task. The additional coating over the EPDM cover, therefore, makes Brewflex brewery hoses very easy to manoeuvre around a brewery plant with minimal hassle. Help protect the external cover and increase the life cycle of a hose which is generally used on the floor and being dragged around the factory or yard. These scuff rings should be positioned approximately every 300-500mm apart as to stop the hose between the scuff rings from sagging or making contact with the floor surface. Bounce rings help to protect the end connection from being damaged if dropped but also protect the application environment from the end connection if it is dropped ensuring the integrity of things such as expensive tiling in pharmaceutical or food environments. An end connection is an essential part of any hose assembly as this is the component that allows the hose to be connected to your application and equipment. 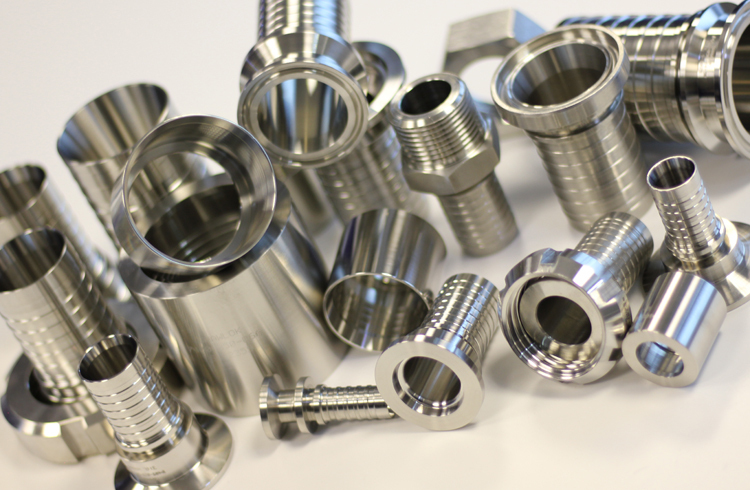 Flextech offer 316L stainless steel, permanently swaged Shawlok® couplings which includes Triclamp, DIN 11851, RJT, SMS, IDF, BSP and BSPT fully hygienic end connections for our range of Brewflex® hoses. 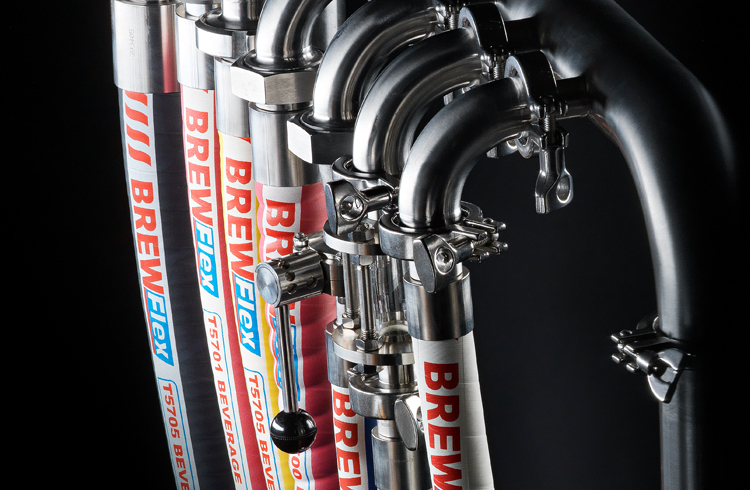 Brewflex® hoses are available in five variants in order to satisfy the unique application requirements found in a brewery. Because every brewery is different alongside it’s working environment too there are always multiple scenarios and variabilities creating unique challenges. This is no problem when there are appropriate solutions available. We are confident we have a hose to satisfy every brewery’s needs. You can view the full range by clicking here. At Flextech we recognise that every application is different and so therefore so are the needs and requirements of the hose assemblies we manufacture for you. In certain environments different tagging methods are more suitable than others and so we offer a variety of differentiating alternatives to ensure your hose assembly solution is always fit for purpose. Flextech offer stainless steel collars which are etched either chemically, electronically or engraved with your required details. The collars can sit loosely on the outside of the hose or alternatively can be swaged down. Similar to the collars above, Flextech also offer stainless steel ferrules which are etched either chemically, electronically or engraved with your required details. The ferrules are swaged down onto the hose and lock into the hose tail to create your hose assembly. Flextech’s high temperature labels are rated to +145°c and are applied to the outside of the hose, near the end connections. Again, these labels can contain any data you require. Flextech offers silicone labels hygienically encapsulated for pharmaceutical, food, beverage, cosmetic, bio-tech and other similar industries where it is paramount that the stringent hygienic standards are maintained and possibilities for bug traps reduced wherever possible. To optimise the data recorded about hoses recorded in your hose registers we offer these colour coded hose register labels which will enable you to identify your hoses in a number of different ways. We’re able to record a whole host of information from the register to help you maintain your production standards. These labels are encapsulated in a plastic sleeve which is attached to the outside of the hose. The FX Trident System is a colour coding system for hose assemblies using triclover end connections. The way it works is that the end connection has a coloured ring inserted in the grove on the connection which then matches up with the same coloured ring on the application. This identification system ensures that the correct hoses are connected to the correct application through matching the coloured rings. Easy-read tags is a completely customisable tagging solution comprising individual lettering. Heat shrink identification solutions are available in either PVC or Polyolefin. This method allows to colour code hoses providing a simple identification solution. The Flextech operation complies with the stringent quality control requirements of BAA, MOD, Rail and other important organizations operating to international standards. Our quality system has also been audited and approved by a number of clients. We place maximum emphasis on quality production and this, combined with innovative technology allows us to give our customers what they want: a total hose solution with a renowned level of quality which is recognised throughout our industry. With numerous quality checks already in place, we have all the necessary procedures to allow us to achieve total customer satisfaction every time. Customer service is of the upmost importance to us and so we ensure that attention to detail on a customer service level is evident in all the products we make, right down to the moment of delivery to the customers door. 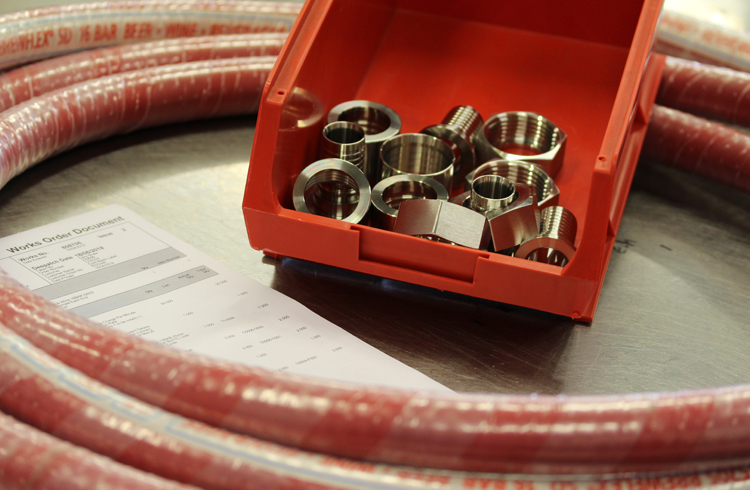 As part of our ISO 9001:2015 certification we offer full 3.1B material traceability on hose assembly components in order to satisfy stringent industry requirements and to ensure the hygienic element of the components is true and accurate. Environmental issues have become very significant in recent years and as a leading company in its field Flextech has proven its commitment to put in place procedures and working practices that will allow it to further control and monitor the effects of its activities on the environment. We operate to ISO 14001 standards which provides customers and employees alike with the assurance that Flextech’s environmental performance meets and will continue to meet, its legal and environmental policy requirements. This statement covers all aspects of the company’s activities and our management team monitors National, European and Global environmental legislative developments to ensure our compliance before they become law. Due to the nature of a hose assembly being of bespoke design, for a specific application, they are not “off the shelf” products. Whilst we keep all of the components in stock the assemblies are made-to-order. This ensures that after talking to you about your requirements we are able to assess the most appropriate solution to satisfy your hose needs. It is important we do this otherwise there is an increased chance that the wrong hose for your application is supplied, resulting in unnecessary and unexpected costs, premature hose failure and other inconvenient annoyances. It is for these reasons that we do not offer our hose assemblies for purchase through our website.